Hardcover, 9 x 11.75 in. / 192 pgs / 109 color / 57 bw. Edited by Gunda Luyken, Beat Wismer. Text by Lothar Baumgarten, Benjamin H.D. Buchloh, Fanni Fetzer, Friedrich Wolfram Heubach, Gabriele Hofer-Hagenauer, Candida Höfer, Erika Krugel, Gunda Luyken, Michael Oppitz, Friedemann von Stockhausen, Beat Wismer. Alongside Andreas Gursky, Thomas Ruff and Thomas Struth, Candida Höfer (born 1944) belongs to the first generation of photographers that graduated from Bernd and Hilla Becher’s famous class at the Düsseldorf Arts Academy in the early 1980s. Since then, Höfer has traveled the world, photographing at a respectful distance the motifs that she encounters on her travels, whether single objects, architectural spaces or people. Her photographs of public spaces almost devoid of people--interiors, libraries, museums and entrance halls--are characterized by a cool objectivity and the precise rendering of detail. 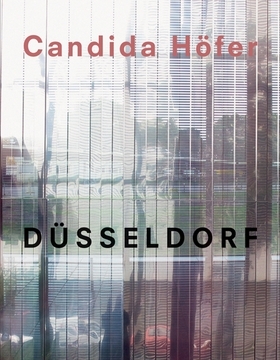 This publication gathers old and new work from the past four decades, with a special emphasis on the works produced in Düsseldorf since her time at the Arts Academy, and on works made since 2011. FORMAT: Hbk, 9 x 11.75 in. / 192 pgs / 109 color / 57 b&w.